After officially unveiling the Octavia facelift at the Paris Motor Show last fall, the Czech automaker Skoda is revealing its freshened Octavia RS and Octavia Scout models, part of the second-generation Octavia line-up. 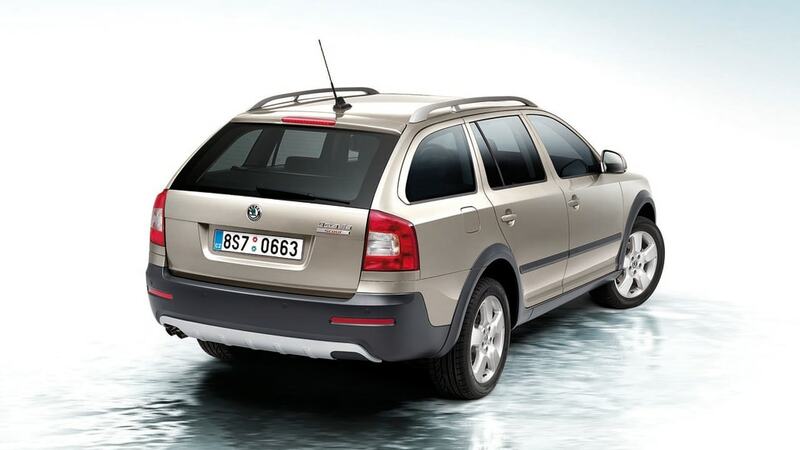 First introduced in 2004, the Octavia is based on Volkswagen's A5 platform (shared with the Golf/Jetta Mk5). The 2009 model is available in both sedan and wagon (Scout) body styles. Compared to last year's model, the facelifted Octavia features a redesigned front end with new headlamps (available with an adaptive xenon light system for the first time), new bumpers, and integrated LED daytime driving lights. Sporting new taillamps, the rear bumper has been redesigned as well. The refreshed Octavia rides on new 18-inch alloy wheels and is offered with several new metallic paint colors. According to Skoda, more than 82,000 Octavia RS and Scout models have been sold since 2000. Full press release after the jump. 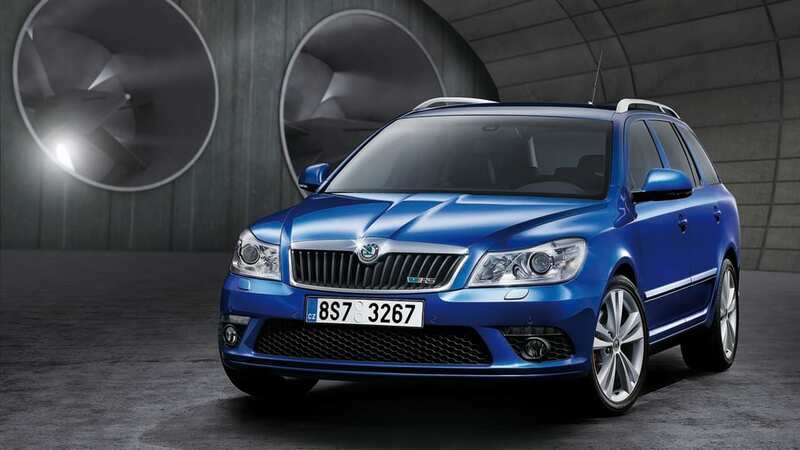 Škoda Auto presents facelifted versions of the Octavia RS and the Octavia Scout. After the modernised Octavia launched late last year, the sports-tuned Octavia RS and the Octavia Scout have now been facelifted as well. Besides numerous design changes, both cars offer new technological solutions including, for example, an air quality sensor for the Climatronic air conditioning system and a new illumination system. The facelifted Octavia RS has a redesigned front mask with an RS logo and bold headlamps that, for the first time in the RS version, can be fitted with xenon units combined with an adaptive front lighting module. Besides a wider and bolder induction aperture, the car's innovated bumper boasts a further two innovations: fog lamps with the Corner function and LED lamps for daytime lighting. The covers of integrated tailgate lamps have been redesigned to look more attractive, other innovations include, for example, a new metallic paint (Anthracite) and 18" Neptune wheels. The sports-tuned chassis has been lowered to 127 mm, the car's weight reduced by 20 kg in the petrol version and 15 kg in the diesel one. Significantly reduced air resistance has a positive impact upon the car's overall performance. The maximum speed is higher, and the car's responsiveness and acceleration have also been improved. Complying with the EU 5 standard, the engines fitted to the Octavia RS include a 2.0 TSI/147 kW petrol unit with a consumption of 7.5 l/100 km and reduced CO2 emissions (175 g /km) and a 2.0 TDI CR/125 kW diesel engine (5.7l/100 km and 150 g/km, respectively). Both engines come exclusively with a six-speed manual twin-clutch DSG transmission. 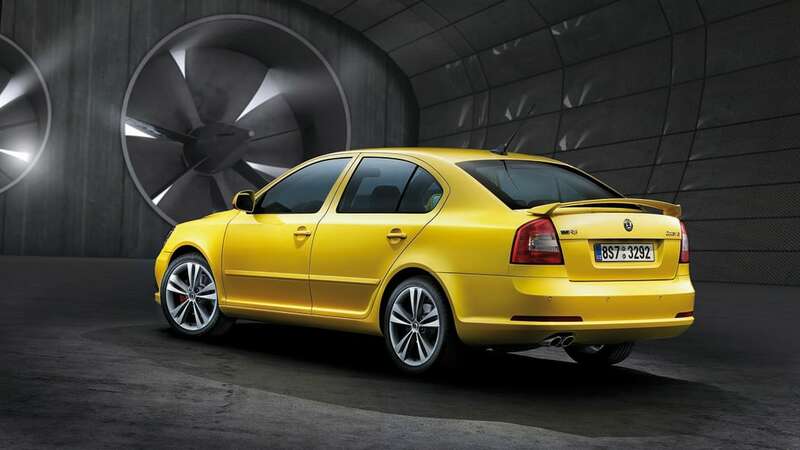 The Octavia RS has been bought by over sixty thousand drivers since 2000 (of which 70 % in the estate (Combi) version). The Scout line has built a steady position in Škoda's model portfolio. 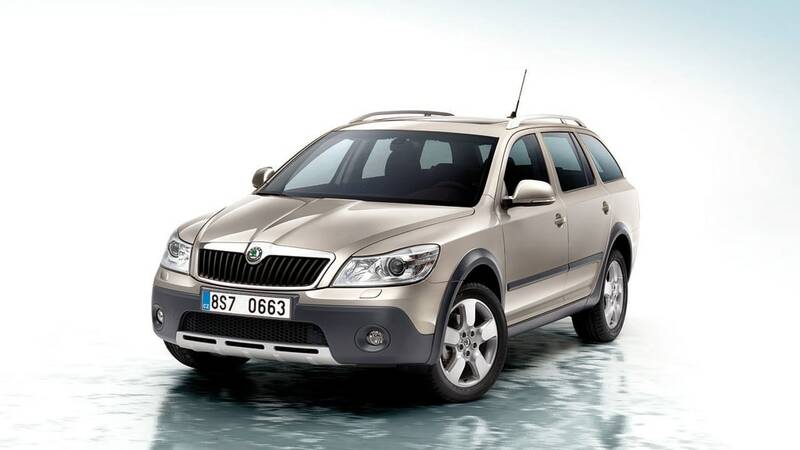 Bigger than the Roomster Scout and the Fabia Scout, the Octavia Scout is the flagship of this model line. The new vehicle has been facelifted to toe the line with the other models of the Octavia portfolio, including a redesigned radiator mask and bold headlamps. Fitted with fog lights with the Corner function, the massive front bumper underlines the vehicle's off-road appearance. Bold protective body elements are in harmony with a new metallic paint (Rosso Brunello). With 179 mm of clear height and efficient chassis protection, the car is well geared for off-road driving. The all-wheel drive system includes the fourth-generation Haldex clutch able to transfer as much as 85 % of the torque to a single wheel. Two powerful engines - petrol 1.8 TSI/118 kW (EU 5) and diesel 2.0 TDI PD DPF/103 kW (EU 4) - combined with a six-speed mechanical transmission provide satisfactory performance levels. The Octavia Scout has been bought by over 22 thousand customers so far.